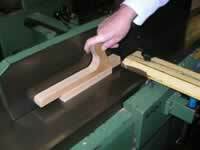 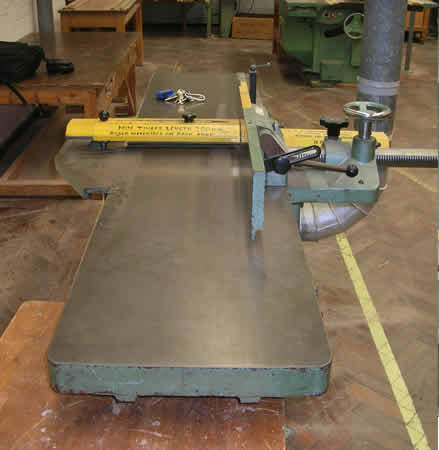 Used in the initial preparation of wood, producing flat faces and square edges. Problems can occur when fingers get dragged between the fence and guard and contact the cutters. 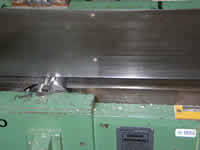 There are four cutters, held in place horizontally with eight allen screws. Cutter height is adjusted with a gauge. 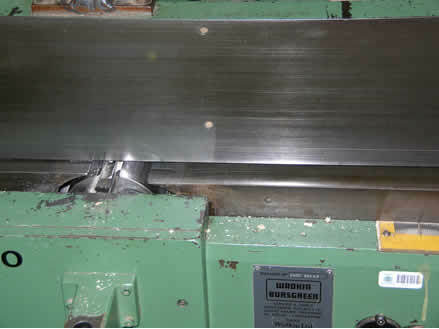 The guard should be adjusted to less than 10mm but care is required not to have the guard too close to the workpiece as non-uniform sizes as can cause jamming. To allow for this this some bridge guards are therefore spring loaded. 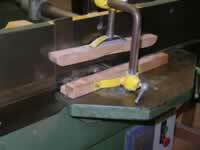 Please download flash player to view this video. 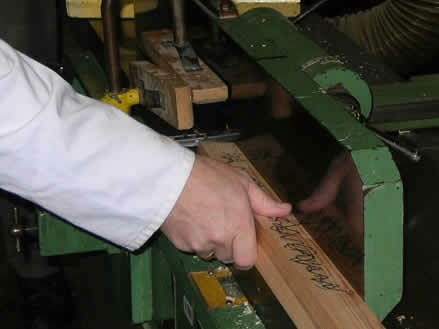 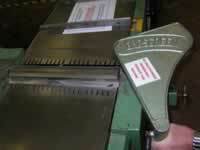 Other dangers are using too small a piece of wood, with kickback causing fingers to contact cutters. 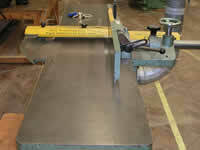 Push blocks must be used and consider use of other options such as use of sander if less than 300mm. 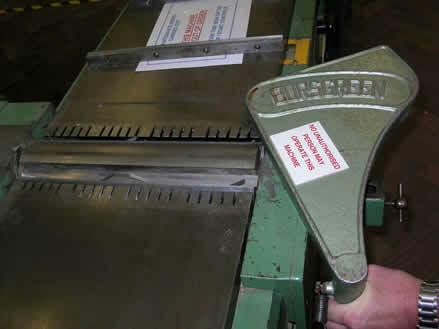 Guarding must also be adequate, note illegal “boomerang” guard that fails to adequately cover cutters.